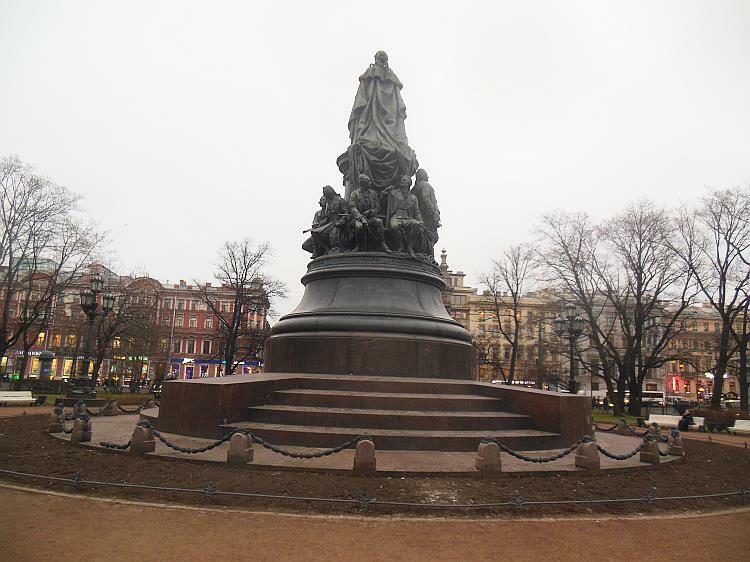 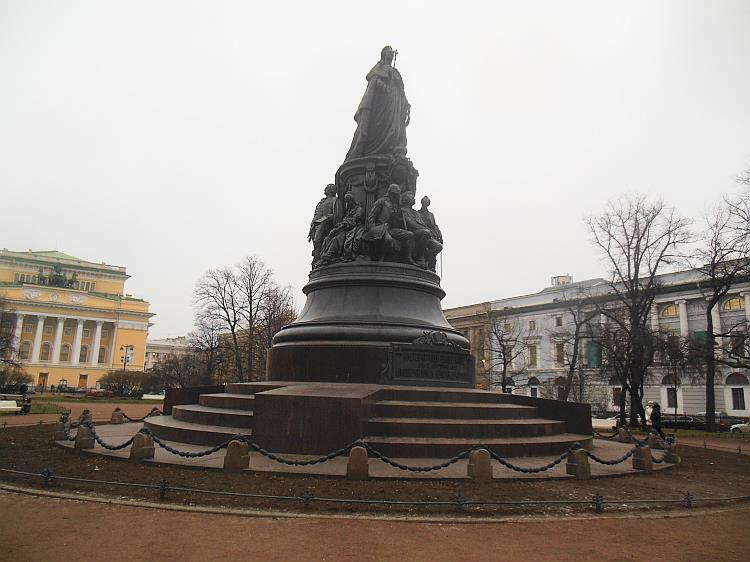 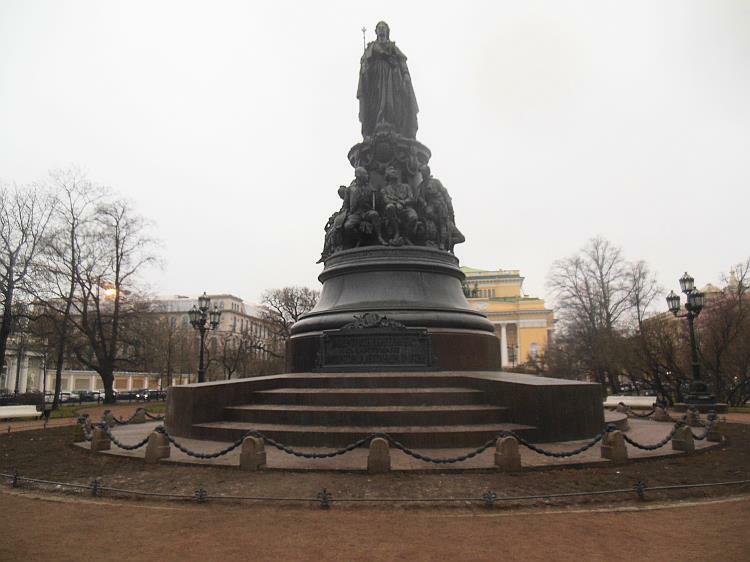 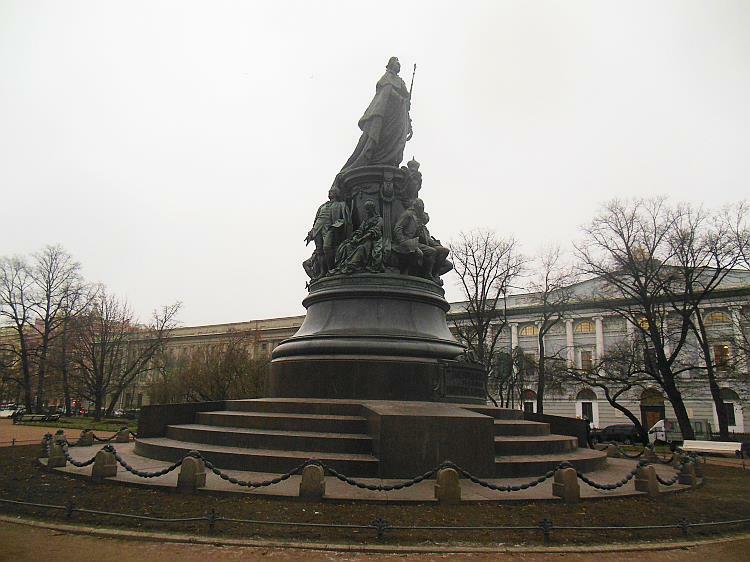 The monument for Catherine the Great in Saint Petersburg, Russia. 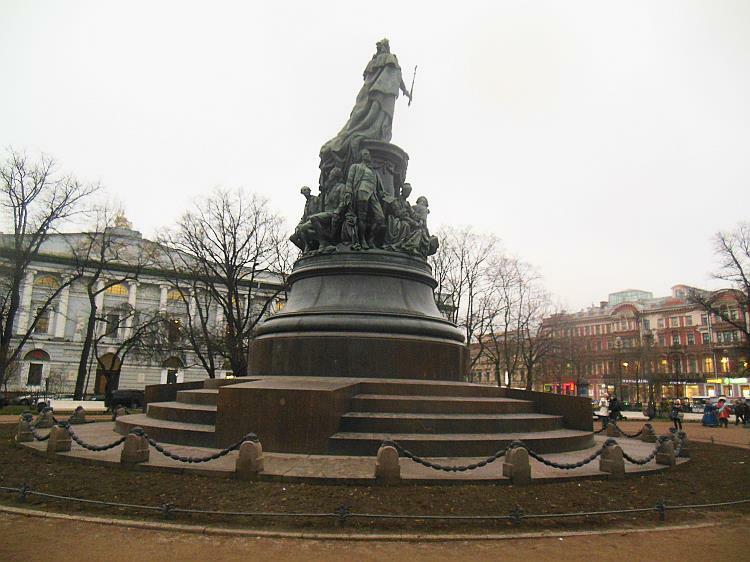 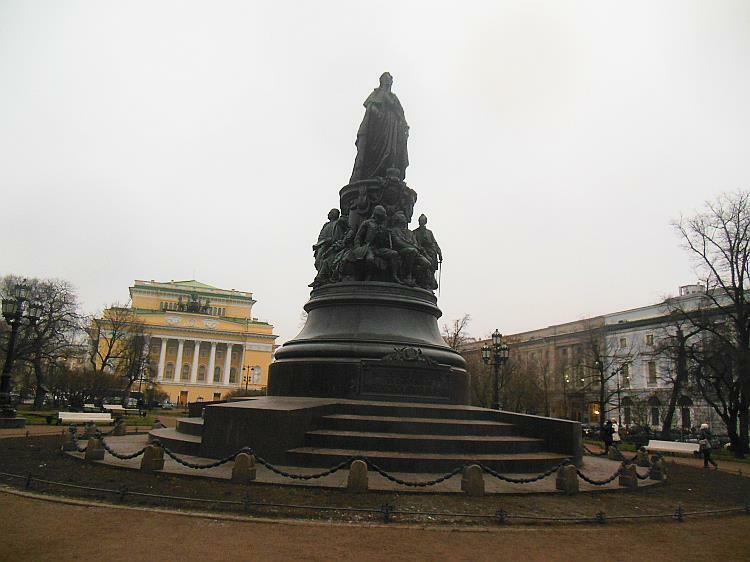 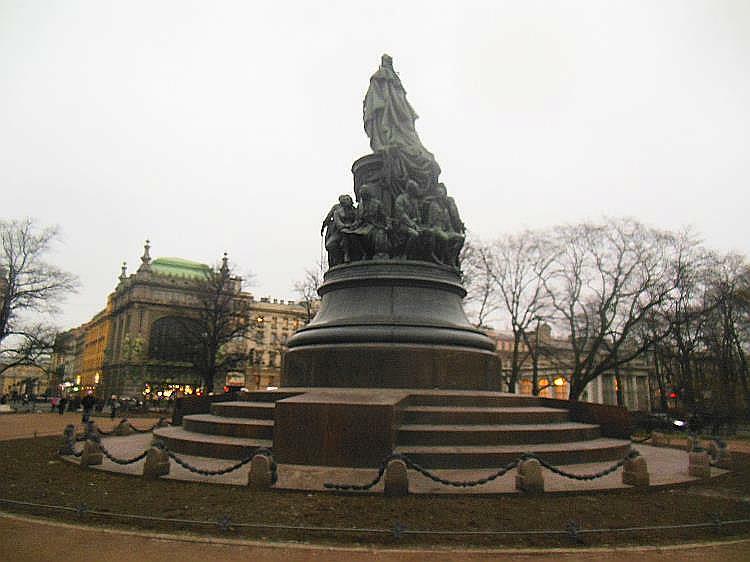 The statue is famous for location in the heart of the city inside park upfront of the Alexandrinsky Theater and near to main street, the Nevsky Prospect. 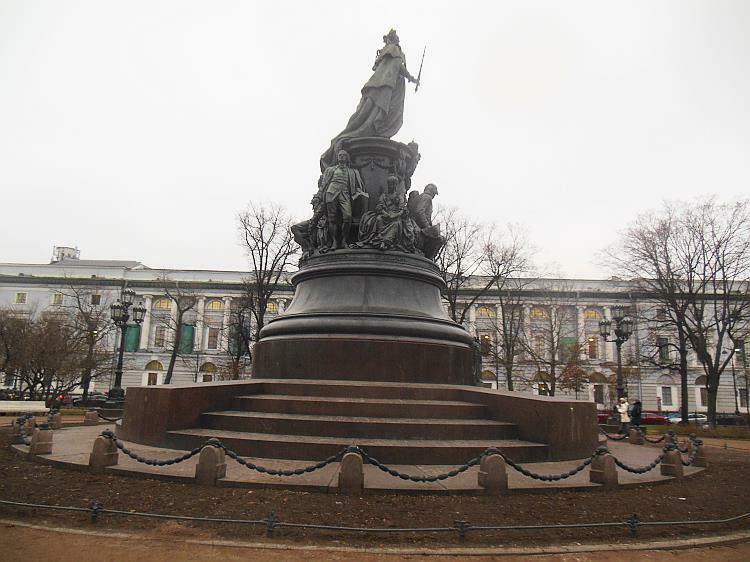 I was told that it was designated place where cavalier can introduce himself to girl without being affront. 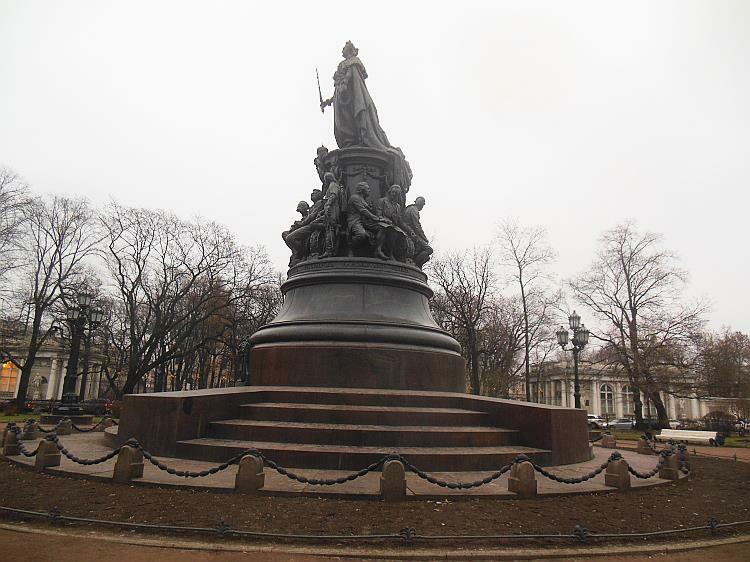 Maybe it is other urban legend Saint Petersburg is rich about. 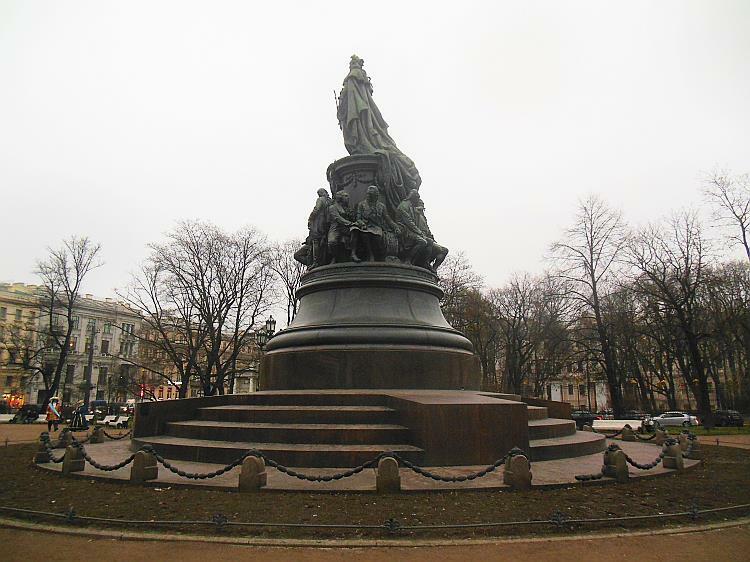 Here is the monument from all angles to see.